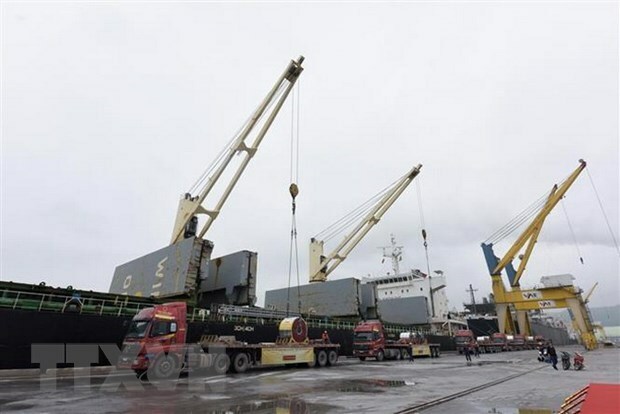 The steel-making group also inaugurated a zinc-coating tube plant in Phu My 1 industrial zone in the southern province of Ba Ria – Vung Tau at a total cost of 500 billion VND (21.7 million USD) on March 16. It also announced that its enterprise resource planning has been successfully carried out. Hoa Sen Group’s products are now available in 75 countries and territories globally, especially in markets with strict requirements on the quality of products, services and delivery time such as the US, Europe and the Middle East. In early February, it signed a contract to export 4,300 tonnes of sheet metal valued at about 3.7 million USD to Mexico. In the context of rising trade protection policies and the narrowing door for export of steel sheet to big markets like the US and Europe, Hoa Sen Group is still able to maintain the export of its products to the US, which proves the competitiveness of Hoa Sen brand in the international market. In the 2017-2018 period, the group turned out nearly 1.9 million tonnes, earning 34.4 trillion VND (over 1.48 billion USD) in revenue, with its growth expanding by 13 percent and 32 percent in the two years. Its domestic revenue reached over 22 trillion VND, up 34 percent, while export earnings exceeded 538 million USD, up 27 percent year-on-year. The firm’s after-tax profit in the period reached 410 billion VND.